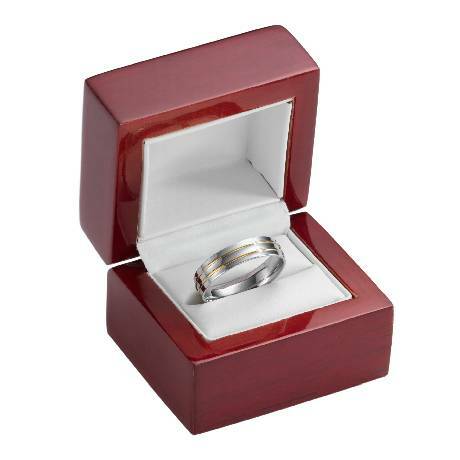 Your groom commands attention and respect from everyone that he meets, so why not give him a ring that does the same? 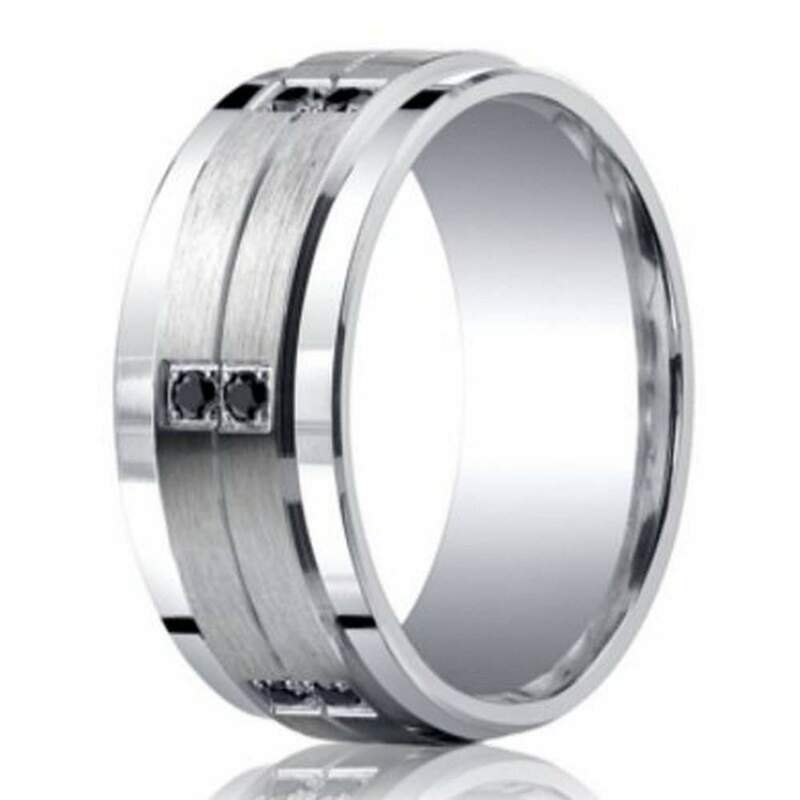 Our 9mm Benchmark Argentium silver wedding ring with black diamonds is eye-catching, and the perfect choice for your future groom. With six pairs of gleaming black diamonds from a satin finish center cut design highlighted by polished edges, this band is a stunning work of art. The 12 diamonds are perfectly coupled with tarnish-resistant Argentium silver, for a ring that is as handsome as it is durable. This is a wonderful choice for the couple who wants to bring high-quality and class to their wedding, with a lower budget. One of the best parts about our 9mm Benchmark Argentium silver wedding ring with black diamonds is that it is comfortable to wear all day long. This band offers a comfort fit band, ensuring all-day wear without irritation or discomfort. Comfort fit rings tend to be ½ size smaller due to the additional metal inside the ring, so we recommend having your finger measured by your local jeweler before ordering online. We also offer custom engraving of up to 30 characters including spaces, to add that final special touch. Note: Diamond rings incur a 15% scrap fee is returned or exchanged prior to 60 days.